Even on the day that the new President of the United States, Trump, takes office we enter the new year fulll of hope and ambition. Together we will keep working to create a reliable, affordable and sustainable energy-future without nuclear power. 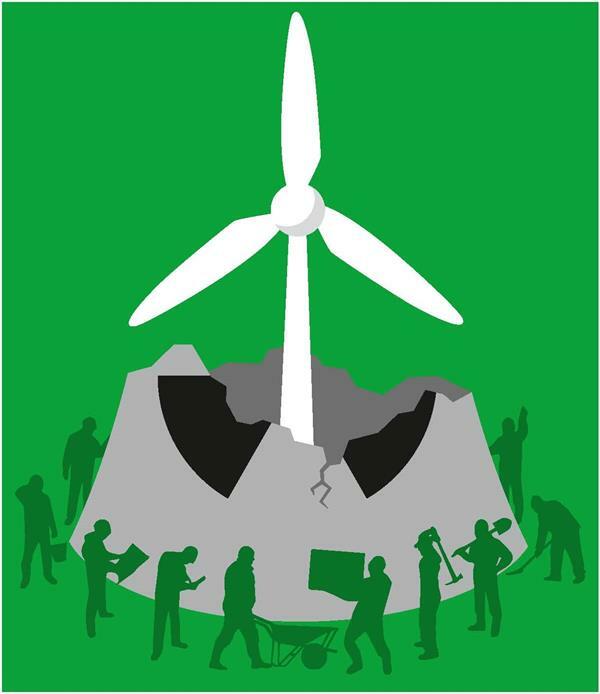 In this newsletter we will keep you updated on all the brave people that organise events and actions to work towards a sustainable future. We strongly believe in citizen's actions and hope to inspire you all to engage in activities organised by grassroot groups and NGO's all over the globe. Feel free to share this newsletter. For more background information, in-depth content and longer stories on the struggle against nuclear power, one should read the Nuclear Monitor, published as a magzine, 20 issues per year. We wish you a fruit- and peacefull strong 2017! About 250 people demonstrated in front of the Spanish consulate in Lisbon against the Almaraz nuclear power plant and its planned nuclear waste dump, 100 kilometers from Portugal. The Portugese Government has filed a compliant with Brussel, as the design of the waste dump has not incorporated a study on cross-border impacts and so is against European rules. Very close to one of the biggest harbours (Antwerp) of Europe, in Doel, Belgium, 4 old nuclear reactors are slowly falling apart, technical and political. But it takes too long and its too dangerous to wait for more incidents to happen. Doel 4 was hit by an act of sabotage (August 2014). Untill today no-one knows who did it. Doel 3 is 'famous' for its cracks in its reactorvessel. All 4 reactors have suffered many incidents and accidents in the past years. The Belgium Government has decided to postpone closure with ten years. On March 11, 6 years after Fukushima, Belgium and Dutch groups take to the streets in Antwerp. WISE supports the demonstration and organises a bus with Dutch participants. More information (in Dutch) on this site. April 25, 2017 Nuclear Energy Conference, with a focus on Euratom. June 25, Chain Reaction Tihange, thousands of people demand closure of Belgium reactors. July 17-23, 2017 International Anti-nuclear Summer Camp, Döbeln/Germany. Are you organising an anti-nuclear event? Get in touch with us! Nuclear Power: Liability for Damage finally has to become the Duty of the Operators. Organised by Atomstopp. Here is the English text and you can sign here. The Temelin Resolution: sign the petition to get the dangerous welds researched (text in German). Are you organising an online petition? Get in touch with us! The Nuclear Monitor is the last global magazine about the whole nuclear fuel chain, written from a critical perspective. A must-read for all those who work on this issue. From 2017 we have decided to stop issuing hard copies, from now on only the pdf version is available. 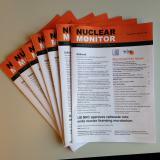 A subscription for the Nuclear Monitor is € 60,- per year (20 issues) (or € 225,- for companies and institutions). If you work for a larger organisation, perhaps you can sponsor a subscription for a smaller organisation. Subscribe here. Web: http://www.nirs.org/Please consider supporting our work.